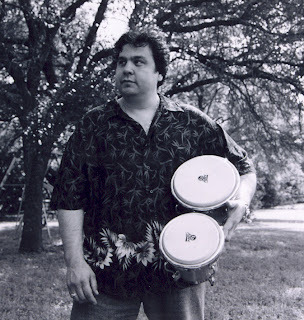 Lost our percussionist Larry Rimes and his brother Tom Rimes (sax) this past Wednesday and here's the scoop as to why I'm pissed. We had our rehearsals with Tom and I really enjoyed his playing very much so that I asked if he wanted to be in the band on the spot. Promising new sounds with just two rehearsals, it was a great way to start off the new year. We all left on a happy note and very much antispated our next rehearsal day. Well... Wednesday came and went and the Rimes brothers were a no show. I was consern it was not like Larry not call and plus his cell remained busy up until the next day Thursday. I then left a message to Larry early Thursday morning when Miggs, my bassplayer, gives me the news of them parting ways from the band around 3:00pm and I'm still not clear as to why. Miggs also mention that Larry tried calling me but my cell signal was weak and couldn't reach me. I then check my messages and missed calls and of course they were none... I then called and left a nice message like "Hey man everything is cool and I'm not mad, just give me a call and let me know what happen"